Welcome to our Pilot Store! These are a few things that I use every day on my trips and can highly recommend. I get wholesale pricing and my goal is to pass on some of that savings to you and make a small profit to offset the price of web hosting, etc. Thank you in advance for your support in helping us make the website better! Our Price: $429.95 / List Price: $526 / Free Shipping in the U.S.! 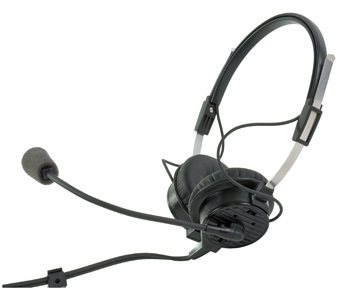 MFR #: 301317-000 / Telex Airman ANR 850 Headset ANR without batteries! Telex's latest headset combines the clarity of ANR, the comfort of a lightweight design, and the convenience of not having batteries to worry about. Weighing in at only 3.8 oz, the Airman ANR 850 uses mic bias to provide 12 db of active noise reduction. Perfect to reduce wind noise in jet cockpits. Features a "Set and Forget" volume control switch, electret microphone, and fully flexible boom. Three year warranty. Made in the USA. Return Policy: We allow return of many products in new, un-opened condition, when returned in a timely manner. All items are shipped fully insured. Warranty Policy: All warranty claims should be handled directly with the manufacturer.